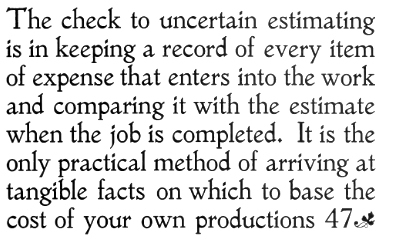 On these pages, I discuss the point system used by printers, and related topics, at length, and I also talk about the IBM Selectric Composer along with other direct impression composition devices at length. Thus, it seems appropriate to add to this page a brief discussion of the typefaces used in printing and how they were developed. Of course there are books which treat this subject more thoroughly and from greater competence on the part of their authors, but a brief overview might at least pique the interest of some. Printing with movable type was originally invented in China. As the Chinese writing system makes use of a large number of characters, printing in this fashion was less convenient for them, and thus yielded less in the way of immediate benefits over older methods of printing. The method was borrowed by the Koreans, who did have an alphabetic script, Hangul, and they printed books in this way before Gutenberg as well. But it was when printing with movable type was rediscovered in the West, and specifically after it was employed by Johann Gutenberg, that this invention was started on the road to changing the face of the world. Two editions of the Bible, one commonly called the 42-line Bible, the other the 36-line Bible, are associated with Gutenberg. For a time, only the 36-line Bible was known. Currently, it is believed that only the 42-line Bible was actually printed by Gutenberg, and the 36-line Bible was printed by a later printer who acquired some of the type Gutenberg used. The 42-line Bible used to be called the Mazarin Bible, and the 36-line Bible had several names, depending on who it was thought had printed it. Today, fonts for comic book lettering will often include multiple forms for each letter, so that the text they produce will look like it was hand lettered. Gutenberg did this with the typeface used for the 42-line Bible, so that it would not be obvious it was not produced by a scribe. 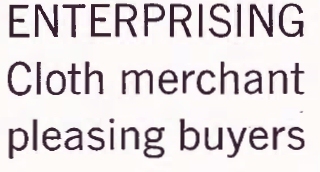 today, this kind of typeface is only used for decorative purposes, and with ever-increasing rarity. Many present-day typefaces were inspired by the printing of Nicholas Jenson. These typefaces, however, although beautiful and readable, are generally used for artistic printing rather than everyday printing. First, let us look at Eusebius, from Ludlow. The Ludlow typesetter allows one to assemble matrices manually, as printers manually assembled type, and then mold a solid line of type with them. It is usually used to supply such things as titles in large type for a print job otherwise typeset on a Linotype machine. This is one of the Jensons that is the most faithful to Nicholas Jenson's original typeface. It was drawn by Ernst Detterer and first made available in 1923. One of the first attempts to revive the style of type used by Jenson, along with some of his contemporaries, was the Golden type of William Morris. In addition to being the author of The Well at the World's End, he was a Utopian reformer, one of the founders of the Arts and Crafts movement. One type in the Jenson style that was much admired had a poignant story associated with it. The Doves type was designed by T. J. Cobden-Sanderson and cut by the punchcutter Edward Prince. It was the private press typeface of the Doves Press. After the Doves Press closed up, Cobden-Sanderson retained the type, punches, and matrices of the Doves type, but they were to revert to his partner, Emory Walker, upon his death. However, he was horrified at the thought this fine type might eventually be turned to lesser purposes, and secretly, bit by bit, threw the materials into the Thames. This was discovered after his death; by that time, Edward Prince could not cut punches to equal those he had cut before, and Emory Walker could find no other punchcutter to do the face justice. Cloister Old Style was designed by Morris Fuller Benton. He was the son of Linn Boyd Benton, the inventor of the type-cutting pantograph, and thus the second in the American Type Founders dynasty. This typeface was a reasonably faithful adaptation of the Jenson, and yet modernized just enough to be suitable for commercial work as well as artistic work. It has a companion italic, which is anachronistic, and that italic is not even a narrow italic in the chancery style which would belong to the next group of typefaces we will encounter. However, I cannot fault this, as it makes the typeface usable in more situations. However, unlike most other Jensons, despite being "dated" to 1460 or so by virtue of being Jensons, some of the subtle changes in modernizing this typeface have, unfortunately, caused this type to be dated - to around 1915, when it was designed. 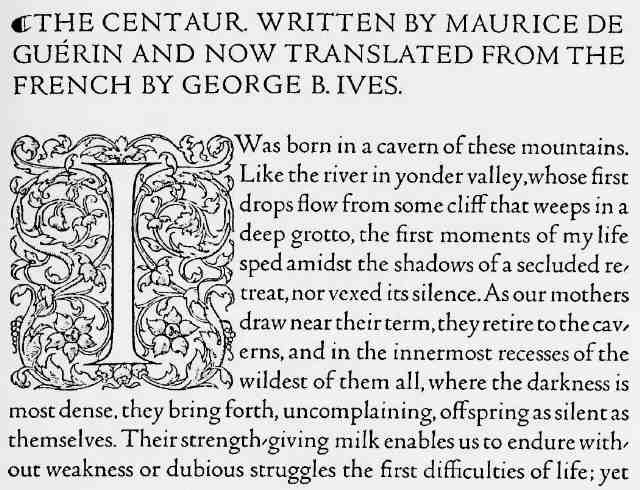 Another type in the Jenson style is Centaur, by Bruce Rogers. Many hold this type to be the finest of all these typefaces. After Nicholas Jenson, while several other early printers were also of note, the next major milestone in printing was achieved by Aldus Manutilus. He was famed for printing books in italics, so that they could be more compact. 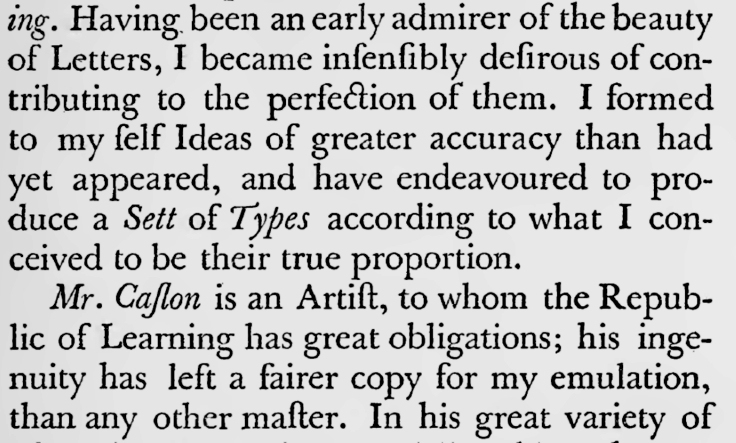 His roman type was, for a time, not regarded as nearly as significant as Jenson's, but later typographers have recognized his importance. 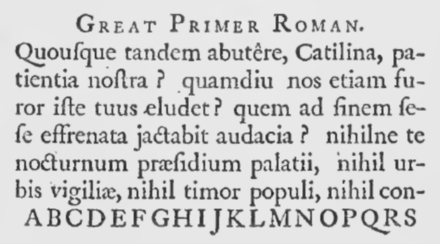 The roman types other than Venetians, used for day to day printing instead of specialized artistic printing, that we use today all derive from his roman type. Almost every book on the history of printing in its typographical aspect features an illustration of a page from his first edition of Hypnerotomachia Poliphilii; thus, I was rather amused when another author, inspired by the success of Dan Brown's novel The Da Vinci Code, wrote a thriller in a somewhat similar vein, with, as he explained in a television interview, this incredibly obscure book that almost no one had ever heard of as the cornerstone of its plot. He was correct, though, that until very recently, the only translation of this book, written in a mixture of Latin and medieval Italian, into English was incomplete. 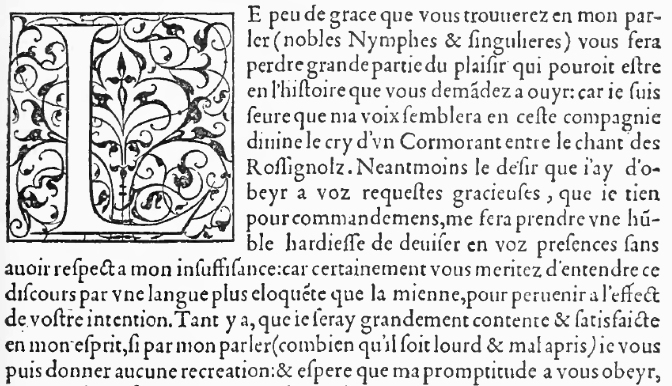 Unfortunately, though, there was a complete translation of the book into another language, that recondite tongue known as French, made shortly after the book's original release... as that book is also featured in many books on the history of printing as an example of the original Garamond typeface. Thus, whether or not those who translated the book into English in the modern day made use of this crib, meanings in that book which may only have been accessible to its contemporaries in its original language were not necessarily lost. Monotype designed a typeface, Poliphilus, baed on the type of this book. 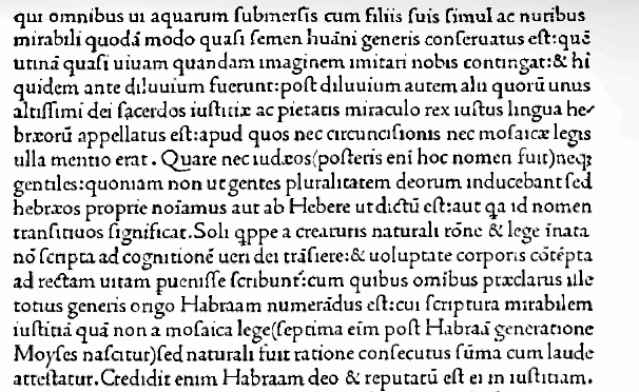 However, their later typeface Bembo, also based on the type of Aldus Manutilus, was much more successful. 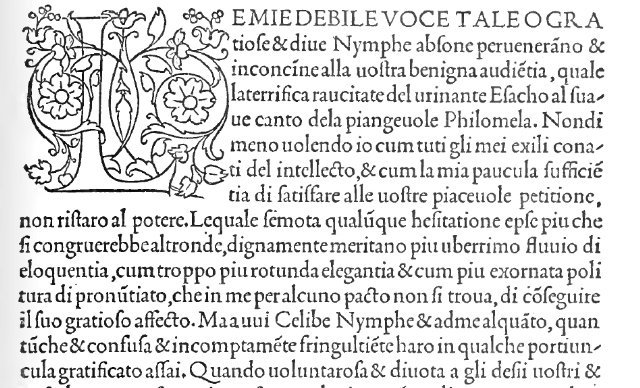 That was based on the type of De Ætna by Pietro Bembo. It was not a completely different typeface; the same lower-case type was used as in the Hypnerotomachia Poliphilii, but it had used a different upper case. De Ætna was published in 1495, while the Hypnerotomachia Poliphilii was published afterwards, in 1499. As the virtues of Aldus' work in this book had not been recognized until fairly recently, I had not found an unimpeachably public-domain source to work from, although I have found one source accessible through a Creative Commons license, the complexities of which I will have to untangle. 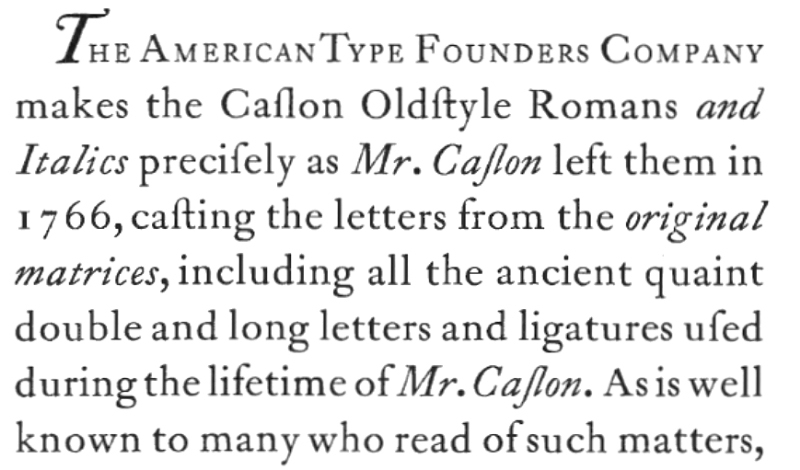 The typeface we know by the name Garamond was actually based on type which was similar in style to that which Claude Garamond originated, but which was cut by Jean Jannon later. This was discovered by Beatrice Warde, who published her findings in 1927 under her pseudonym Paul Beaujon. 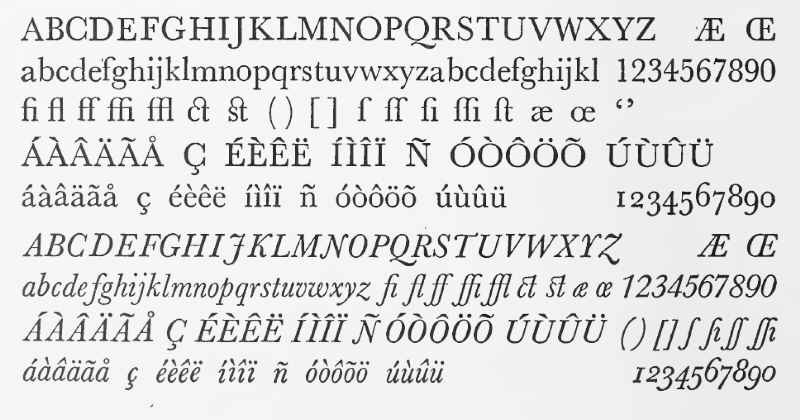 and also of Monotype's Garamond from 1923. "It would seem that Garamont's name having so long been used on a design he never cut is now by stern justice left off the face which is undoubtedly his." 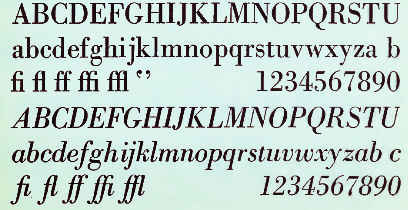 From the type of Jenson onwards, the Roman typefaces we have already examined belong to the "Old Style" classification. Here, we will look at some later old style types. This typeface was very popular itself, and it later was the basis for another typeface originated by Monotype that became extremely popular. This style of type, imitated by nearly every typefounder of that era, was the principal typeface used by printers in the English-speaking world for over a hundred years. Quite unlike the original, because it is intended as a workhorse typeface and not an artistic one, it has quite short descenders. is not without its charm; it provided much of the inspiration for the later Century Oldstyle design. Alexander Phemister also designed the typeface Bookman. John Baskerville was a printer in Birmingham whose printing was of very high quality, so much so that other printers disliked him for putting pressure on them to improve their craft. His types are generally considered to have been the first transitional typefaces, while those of Caslon are classified as old style, although they are in many respects very similar to those of Caslon. here represented by Monotype Baskerville. This illustration shows the version of the typeface offered with the Fotosetter, and it appears to be the version that Linotype had recut. You have probably seen this typeface before, and you may even be able to write text in it on your own computer. Century Expanded might be classified as a Clarendon, but it lacks the heavy weight characteristic of that group of typefaces and it strongly resembles a Scotch Roman despite having bracketed serifs, and as it is also sometimes lumped in with the transitional faces, I will place it here. It is a very popular typeface, appearing in many books and magazines. 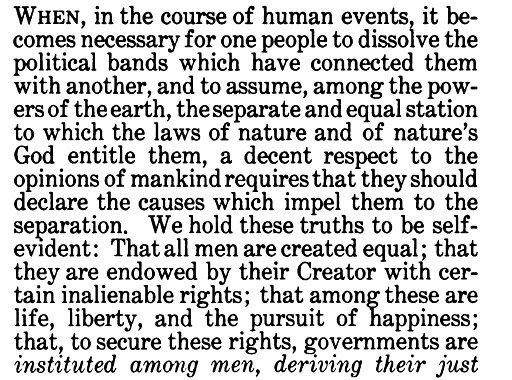 Giambattista Bodoni took some of the novel attributes of Baskerville's type to their ultimate conclusion, leading to a style of type with unbracketed serifs and strong stroke contrast. This is a beautiful typeface, although more suited to display than to body text. 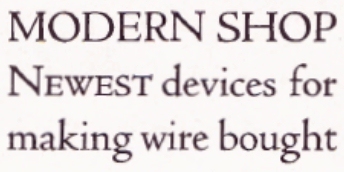 It led to the development of the various Scotch Roman typefaces. Some of those were quite good, but there were, as well, some thin and light ones that were unattractive, and formed the stimulus for a movement to revive the old style types such as those of Jenson and Caslon. This typeface was very popular for many years. Caledonia, along with Times Roman, joined the ranks of Century Expanded, Baskerville, and Garamond as being one of the most commonly used typefaces for printing the text of books and magazines. It was the typeface used for Ace paperbacks, for example. Types with bracketed slab serifs are classified as Clarendons, from the name of the display typeface from which their popularity began. and are often used as a bold face to go with Scotch Roman faces. These are the monoline slab-serif typefaces. Many of the earliest sans-serif typefaces look quite ugly to modern eyes. However, this situation was eventually improved, and the sans-serif typefaces regarded as attractive today fall into several groups. And then there are the typefaces descended from Akzidenz Grotesk, sold under the name Standard in the United States. The most direct descendant of Akzidenz Grotesk was Helvetica, which is familiar from much official signage in various places. Also a sans-serif type, but not being monoline, of quite a different kind, is Hermann Zapf's most famous creation, Optima, from Stempel in 1958. The apostrophe - and the trademark symbol, which URW Classico does not have, and which was therefore taken from Zapf Humanist 801, which also somewhat resembles Optima - were adjusted to resemble those in the originals from which the text of this specimen was taken. Unfortunately, Optima's real claim to fame, its most unique characteristic, translates poorly to the discrete pixel world of computer screens and laser printers, although it was easily enough visible in the days of ink on paper applied by metal type. Thus, here is an image at a large scale to make the use of flared stems in place of serifs visible.